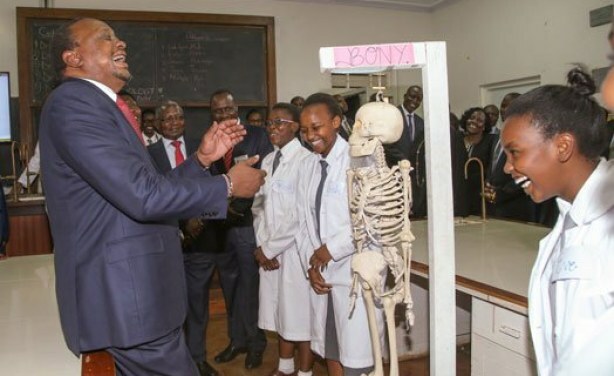 In the video President Uhuru Kenyatta asks some high school learners, who introduced themselves as future doctors, to teach him their creative composition song on bones while also promising to grant them their request of having dinner with them. The girls are seen showing Kenyatta the chart of the human body, in what appears to be a science laboratory. President Uhuru Kenyatta in stitches after listening to a creative composition by students of Kenya High School.